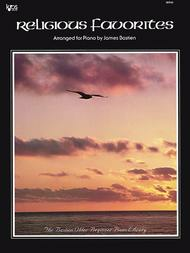 This comprehensive collection contains easy piano arrangements of popular sacred selections. Includes a wide array of gospel, spiritual, and folk selections, including traditional hymns for Thanksgiving, Christmas, and Easter. Very little hand movement and the introduction of 3 note chords. would recommend this book for every beginner. 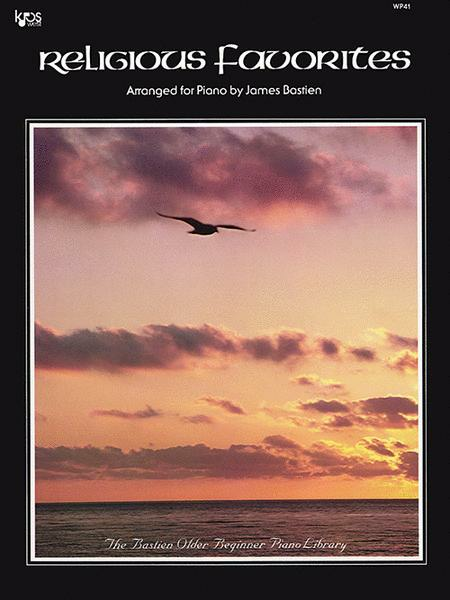 It gives you confidence for more advanced piano books. The left hand is written in block chord arrangements making it easy to play. The arrangements are true and clearly printed music lines will make you feel on top of reading music early on. A really good starting book from the first year. February 23, 2013 Bestien Religious Favorites . . .
5 STARS!!! Great book, more beautiful sounding than ever and actually "playable", but this is really more like grade level of SMP 1-3, truly more like Late Elementary - Early Intermediate level. Enjoy! Although I would rank this as "intermediate" and not level 1, it is a great collection of well loved hymns - the best I've found at an early level. 31 of 54 people found this review helpful. October 02, 2008 A good buy! This is a great music book. 35 of 57 people found this review helpful.